A million of thanks to all my fellow sky watcher especially to our host Tom with Sandy, Imac and Klaus. I appreciate all the comments you give to me. Here's my another simple sky watch entry for this week. A nice weather with wonderful skies in the morning when my family and I traveled to the next city. And if you have time visit my other Sky Watch Friday entry at ladynorms and sweetnorms sites. Great landscape and clouds! What is in the field? Norm, nice SkyWatch photos, I love the background and how you captured the clouds. 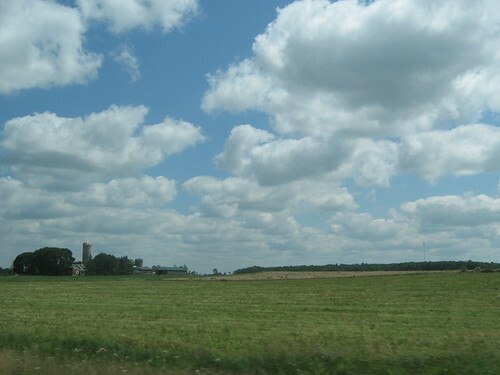 A very nice and wide open land-with-sky-scape. Great one for sky watch! Clouds fill the skies above us and they are always part of our every day lives... Mine's up too hope you can drop dy! Really nice big sky, looks like a great day for a picnic! Great clouds and great country scene. Beautiful shots. 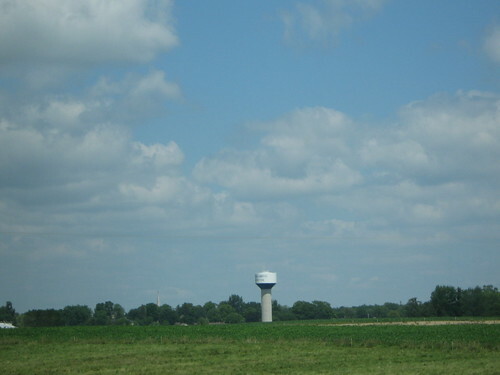 Lovely landscapes and I like the water tower against the sky. Ooh - you live like I do, way out on a farm (or near one). Very cool shots. I love watching the clouds. Great shot, I just love clouds and the vastness of it all just adds to the whole picture. Norm, wonderful SWF photos. Looks like a painting. Have a great weekend. ose fluffy white clouds floating on such a vast sky are so pretty. These are both such nice, peaceful looking scenes. The second photo is especially nice. I love the layout and color. Great shots. Love the field and the sky. Hi Norm, this is a pretty place to be. Those farmstead people get to watch the sky you have found all day long! Happy Skywatching! Thank you for the visit and nice comment. Thanks for the kind comment on my photos, half of which were taken in your country and the other half in mine! Very nice shots - very summery. Nice shot! Very peaceful setting! so pretty & peaceful to look at.